Paintless Dent Repair (PDR), also known as Paintless Dent Removal, is the fastest, most affordable and least intrusive process for vehicle dent repair. Our PDR process has made Dent Wizard the worldwide leading paintless dent repair company, while also being the innovator of various SMART (small to medium repair techniques) repairs. Our technicians are trained experts in PDR and use the latest state-of-the-art technologies to repair dents without affecting a vehicle’s factory paint job. Paintless Dent Repair is a specialized and meticulous process designed to get behind a vehicle’s "skin" and massage dented panels back to their original shape. Paintless Dent Repair allows technicians to remove hail damage, dings, minor dents and creases without compromising a vehicle’s factory paint job. 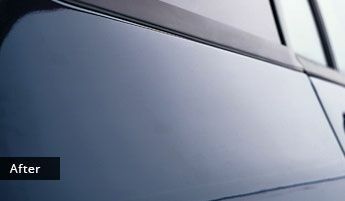 To accomplish a proper repair, the PDR process requires a trained technician who uses a variety of special tools that gently and slowly push dings and dents back in place. A quality repair requires delicacy, precision and, above all else, patience. It’s affordable - since PDR doesn’t require a vehicle owner to purchase new panels or replacement paint, it’s the affordable option. It’s quick - while a traditional repair requires a multitude of complex steps and waiting periods for new parts or new paint, PDR is completed through one specialized process that gets your car back on the road fast. It boosts vehicle resale value - applying new paint over a vehicle’s factory finish significantly reduces a vehicle’s resale value, which is why PDR is highly beneficial because it keeps the original finish intact. WHO DOES DENT WIZARD SERVE? As the leading provider of paintless dent repair Dent Wizard PDR technicians can be found across the United States and Canada. We offer paintless dent repair to automotive service providers including dealerships, body shops, rental agencies, leasing companies, automotive auctions and more. In addition, we perform PDR for hail damage repair, complete repairs for claims made on our Ding Shield vehicle protection plans and offer PDR at our retail locations in the US and Canada. WHY IS DENT WIZARD THE LEADING PAINTLESS DENT REPAIR COMPANY? We are constantly revolutionizing PDR – Through dedication to technology and continuous innovation in our PDR process for over 30 years, Dent Wizard has earned its position as the world leader in paintless dent repair and auto reconditioning. 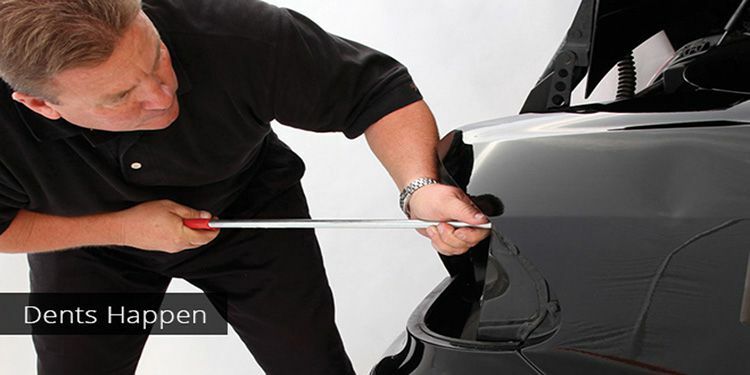 We maintain a vehicle’s value – Dents and dings decrease the resale value of vehicles. 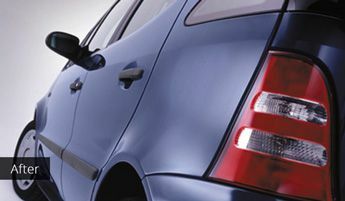 Paintless Dent Repair returns vehicles to the original factory condition without affecting the factory paint finish. For dealerships, Paintless Dent Repair can add significant value to resale vehicles. We deliver a fast turnaround time – Paintless Dent Repair (PDR) by Dent Wizard is a same-day service, making it easier to focus on more important things. We provide reliable, warrantied repairs – Each repair by Dent Wizard is backed by a 100% customer satisfaction and limited lifetime warranty, in writing. Dent Wizard's commitment to quality service and its dedicated, highly-skilled technicians is what makes our customers feel great about their repaired vehicle. Hail Damage can be a costly situation for any vehicle owner or dealership. Dent Wizard's PDR process returns a hail damaged vehicle to its original factory condition without affecting the factory paint. Learn more about Hail Damage Repair. Paintless Dent Repair by Dent Wizard restores vehicles to their original factory condition. 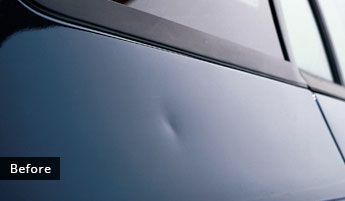 See the quality of Dent Wizard's PDR process with these before and after photos. Learn more.